Are you in need of a warm and relaxed getaway in the country. 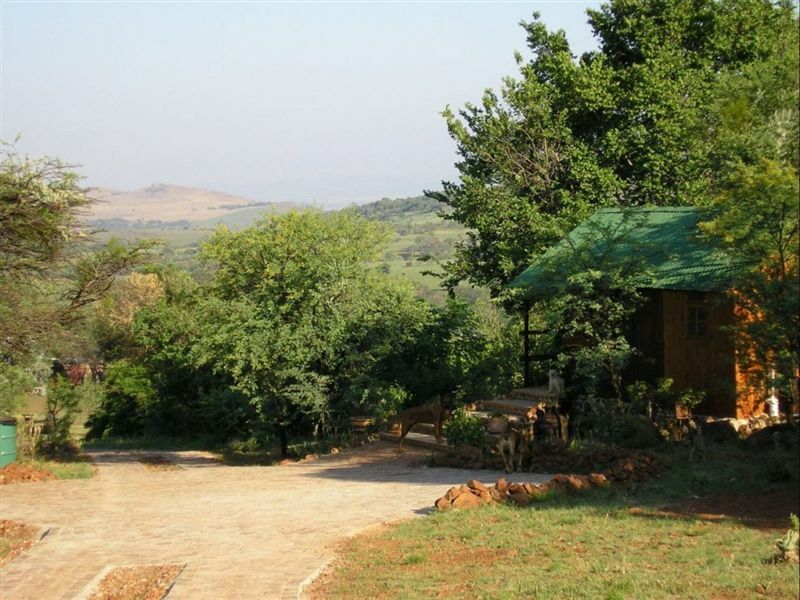 Within an hour from Johannesburg or Pretoria, nestled in the hills of the Magaliesberg, on a private mountain bushveld farm, with stunning views, is Stone Hill. 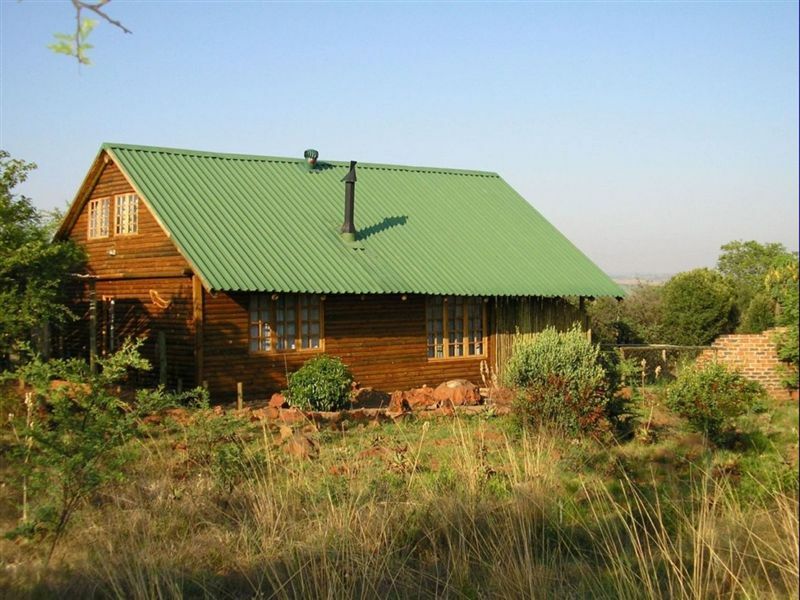 Perched high above the distant village of Magaliesburg, we offer seven top class, fully-equipped luxurious self-catering timber cottages, accommodating from two to eight guests each. 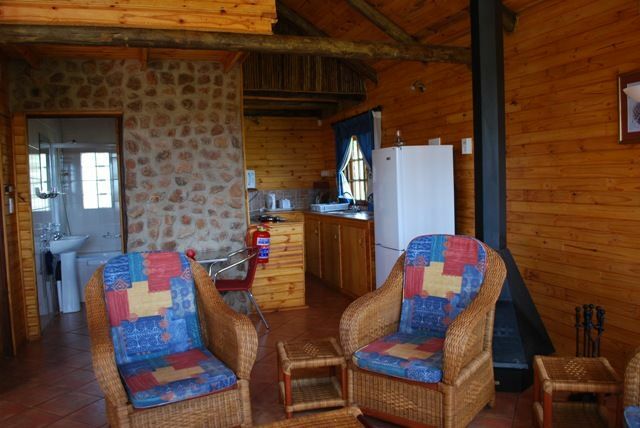 All have open plan lounges with log fireplaces, fully fitted kitchens, bedrooms and full bathrooms. 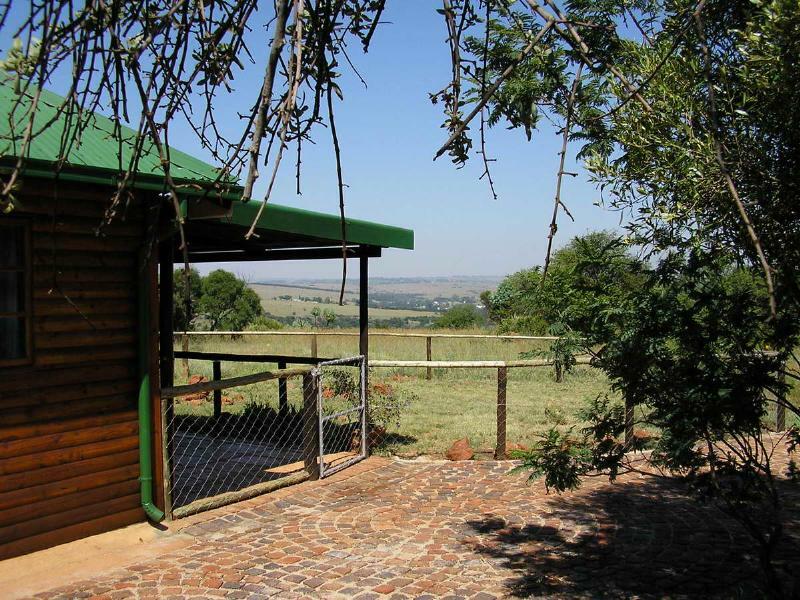 Each is individually fenced for pets and each has a large verandah and braai area. All the cottages are separate and private and are at least 20 metres from each other. We are family and pet friendly and we welcome all breeds of house trained and socialized dogs. The small splash pool is central and within easy reach and the view down the valley is breathtaking. Stone Hill facilities are designed and equipped to give you the feeling of home from home and to make your stay that much more comfortable. There are TV’s in all of cottages with selected DStv channels for your entertainment. The farm supports indigenous small game and birdlife and we have introduced a 5 km walking trail where your dog/s can run unleashed and there are concrete benches for the weary to sit and catch their breath! Please remember to pack water bowls and drinks for the walk! 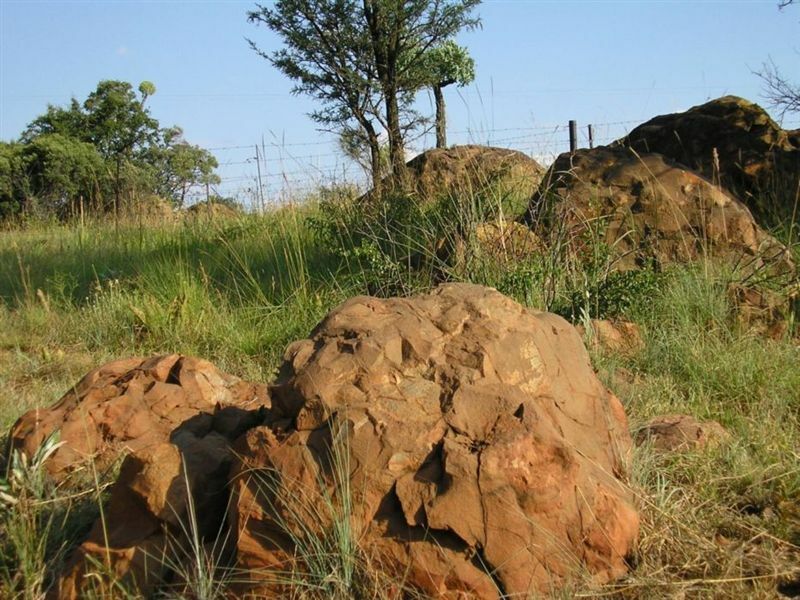 The Magaliesberg are almost 100 times older than the Himalayas and the area is historically and archaeologically rich. It is here that Mankind originated, in the Cradle of Humankind World Heritage Site. Today there is still evidence of Stone Age and Iron Age early man to be found. 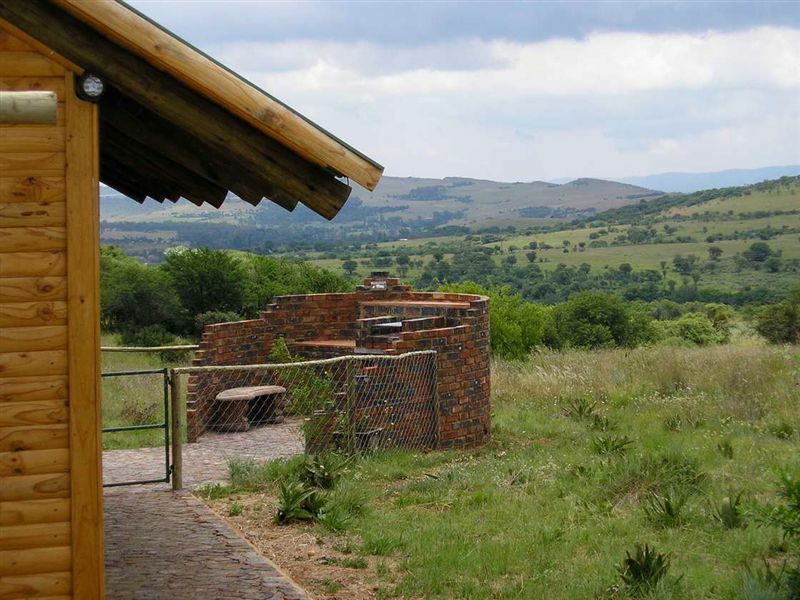 Stone Hill is only 11 kms from Maropeng Visitor’s Centre and 15 kms from the Sterkfontein Caves. Over the centuries, many wars have been waged across the hills, the most recent being the Anglo Boer War. At Stone Hill, a site has been found from that period and the pieces are displayed for visitors who may be interested. The collection is dated somewhere between 1899 to1902. Stone Hill offers privacy, peace and seclusion and it is where your internal clock instinctively slows to the rhythm of the bush. The welcome is warm and the attention is personalised so come and barbeque under the stars and hear the call of the jackals. The perfect escape! Stone Hill is a wonderful cure for stressed city living. Our heaven on earth. We go at least 4 times a year. Our home away from home with our 2 doggie kids. The walking trials are stunning. Thank you Caroline and Mark for being the best hosts. Awesome place for a pet-friendly weekend away. Loved all the extra attention to detail and our fabulous hosts. Super friendly owner-couple Caroline and Mark. The place was built around pets, so there are dog pools and bowls and walks, cats everywhere, and signs to welcome all four-legged friends. Super reasonable rates for self-catering. All kinds of little touches makes a stay here unforgettable. Great weekend getaway and you can bring the doggies along. Cottages are nice and comfortable. Wonderful weekend spent at Stone Hill. It was quiet, peaceful and very beautiful. We had a great getaway and I definitely recommend it for any couple wanting a break away from the noise of the city, but not too far a drive. The hosts, Caroline and Mark are so friendly and lovely and gave us excellent service. Thank you. We thoroughly enjoyed the weekend away at Stone Hill, and so did our two dogs. the cottage was immaculate and very cozy. We felt right at home and the dogs had ample space to run around and explore. Stonehill offers a wonderful holiday away. The cottages are well maintained and looked after. The cottages offer everything you might need and may have forgotten. The walking trails offer a wonderful escape for the dogs to run and play. Petty owners. Make sure you get a full room inventory and the owners to walk through with you, BEFORE you leave. Nice cottages, nice surroundings. We enjoyed our cottage and the views. Close to Pretoria and Johannesburg for an great weekend breakaway. The cottages are well equipped. A very nice place where our fur kids are welcome. Stone Hill is great. Have visited many times, and love it more each time. So close to Jhb, yet right out in the country, with the beauty of the veld, and sunsets that are spectacular. 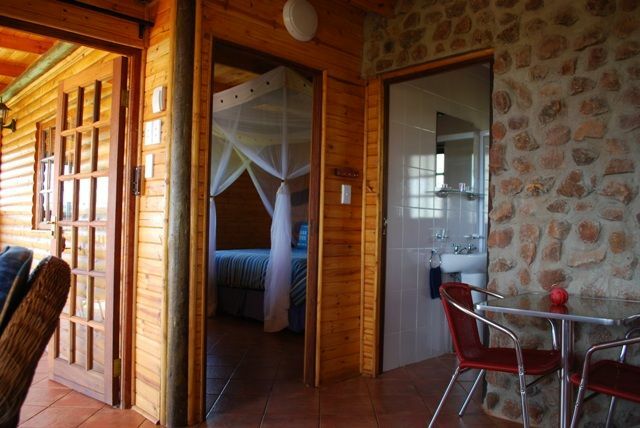 The cottages are very thoughtfully appointed and comfortable. Caroline and Mark are wonderful hosts. Perfect for walking, swimming, reading, chilling. This is the place to go for a country getaway. 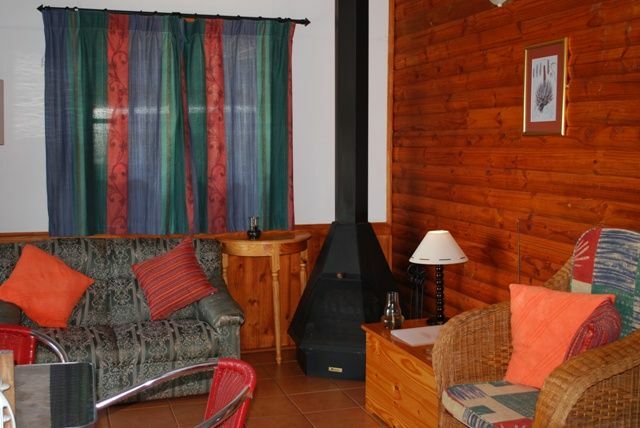 Quiet and peaceful with good views and lovely walks and very comfortable well equipped accommodation. Caroline and Mark are excellent hosts. A special place. Highly recommended. Request a quote from Stone Hill at no obligation. Pets are permitted at Stone Hill. Prior arrangement is essential. Contact the establishment to confirm pet types and sizes allowed. 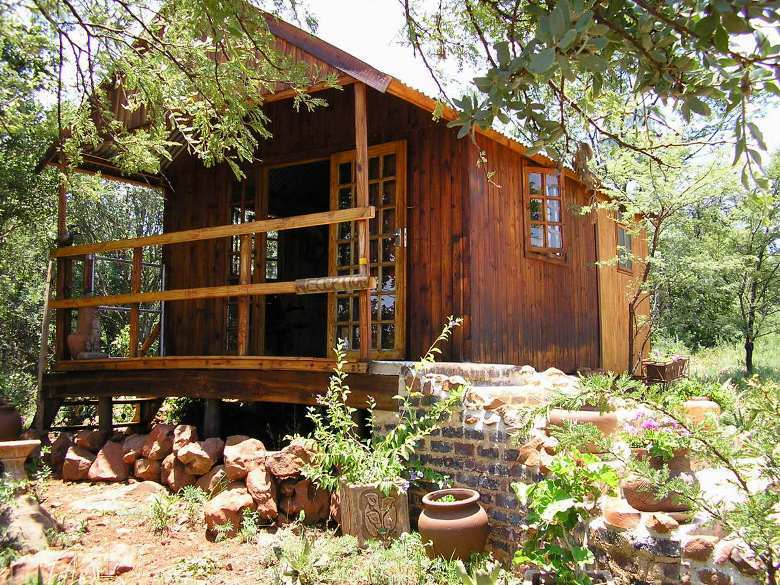 Read more about Magaliesburg as a destination.